U.S. Employers Added The Largest Number Of Workers In Nearly Three Years. U.S. employers added the largest number of workers in nearly three years in November and wage gains picked up, a sign of economic strength that could draw the Federal Reserve closer to raising interest rates. 15-year-old Brisbane student Taj Pabari expects to start exporting his invention – an educational do-it-yourself tablet kit – soon. Taj has clinched a deal with a retailer in South Africa to stock his ImaginTech tablet kit, which is designed to teach children about computer hardware and software. The kits are aimed at children aged four to 14. Children use them to assemble their own Android tablets, which come with a visual game creation tool that teaches them the basics of programming. Parental controls have been worked in to the device. Computer Science Education Week is December 8–14, 2014. Apple is supporting Code.org by hosting workshops and other special events at your local Apple Store. You can Join the company on December 11 for the Hour of Code, a free one-hour introduction to the basics of computer programming. Nineteen-year-old Bethany Mota—one of the young women featured in YouTube's star campaign—never thought she would have her own clothing line at Aéropostale or be a guest judge on Project Runway, let alone be in the running to win ABC's Dancing With the Stars. It's hard to believe that the energetic online starlet, who runs a YouTube fashion and lifestyle vlogging empire, was a shy teen when she started her career in 2009. Here are five things Mota revealed about her success in a recent interview. We here at TeenBusiness.com have been keeping an eye on the maker movement recently. While there are incredible new opportunities for young inventors to take part in exciting new Maker projects around the country and across the globe, your first question might me: what is the Maker movement and why do I care? Some may tell you that the Maker movement is a Do-It-Yourself (DIY) initiative. And if you frame it that way, there is nothing new about Maker culture. Hobbyists have been tinkering away in their basements for centuries, creating inventions out of wood, metal and circuit boards. Sarah Lackey, a 16-year-old from San Diego, learned the power of books at a young age, and she wants to ensure that all kids have the same access to books that she had. They are the first batch of 'digital natives': most of them are younger than Google, which launched in 1996. And having watched their baby-booming parents struggle up work ladders, they plan to put their expertise into practice as early as possible. Dan Schawbel, founder of research firm Millennial Branding and author of Promote Yourself, told MailOnline: 'Generation Z has everything at its finger tips. 'You can start taking classes online or connecting with experts before you're 10 years old. These are among the young power brokers who will determine the toys that will be under Christmas trees this year. At a time when toy sales have stagnated for years at $22 billion, children who review toys on YouTube are wielding increasing influence. Toy makers are courting them for their ability to connect with a generation that views the online video sharing service like baby boomers do HBO. Each of the plants had been grown from seeds in a food and garden class at San Francisco’s June Jordan School for Equity. High school students learned how to care for them, replant them, harvest them, cook them and, in a new twist, sell them. The program is taking traditional school gardens to a new level, where the green isn’t only in the dirt or student diets but in their wallets. The project, supported by school garden nonprofits Urban Sprouts and the Schoolyard to Market program at the Center for Urban Education about Sustainable Agriculture, combines the traditional health, nutrition and science topics associated with school gardens with entrepreneurship. Teens today might have a mixed reputation, but there’s no denying their influence. They command millions of fans on Twitter and Vine, start companies with funds they raised on Kickstarter, steal scenes on TV’s most popular shows, lead protests with global ramifications, and even—as of Friday—win Nobel Peace Prizes. But which ones rise above the rest? Many people dream of inventing a product and growing rich. Inventor Alex Shlaferman, 20, founder of Vante Toys, has already done it, and not just once, but multiple times. The first time he was only 15. And 2014 will be another milestone year, he says. He expects his consumer-products company, founded when he was 16, to do about $10 million in revenue. His venture has been so lucrative, that he now owns his own factory in China, employs nearly 50 people, and is in negotiations for a reality show based on his insane life. The intrepid path being forged by 13-year-old Isabella Rose Taylor begs a fundamental question for any young entrepreneur wondering when to start up: “Why wait?” . Social media provided a wider jolt of recognition. Taylor’s Facebook page, which now counts more than 166,000 ‘likes’ -- in addition to the novelty of her age -- garnered the attention of local news outlets and eventually major national programs including the Today show. Using bacteria to combat the global food crisis? 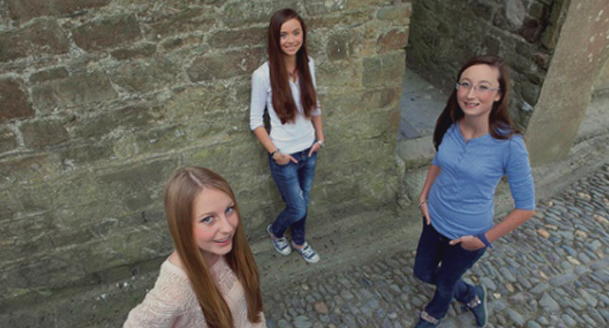 A trio of Irish 16-year-olds came up with this project, which took the grand prize in the competition. After extensive tests, the students discovered that two naturally-growing strains of Rhizobium bacteria--which have a symbiotic relationship with legumes--speed up the germination process of barley and oats by 50%, and increase crop yield by an average of 30%. You all know the headlines: the biggest ever tech float. The biggest ever Chinese float. The biggest ever US IPO. In fact, after yesterday’s increased price range, very likely the biggest IPO ever, with the potential to raise over US$25 billion. But what exactly is Alibaba? What does it do? Alibaba is China’s biggest online commerce company. It is chiefly a domestic operation, which sounds limiting, but when one considers the numbers around China’s discovery of the internet, one can see the appeal: China had 618 million internet users at the end of December 2013.